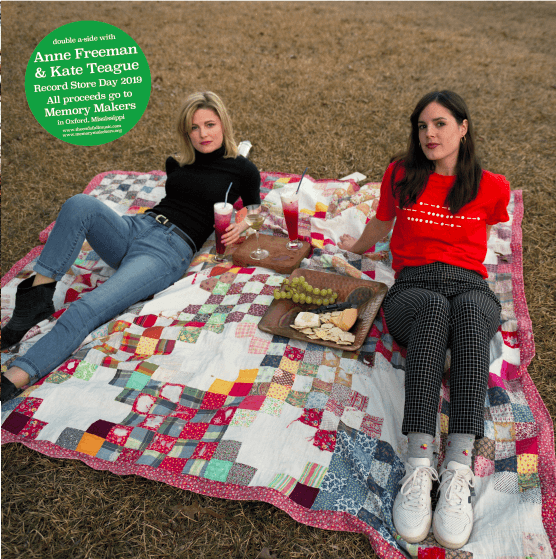 Local musicians Anne Freeman and Kate Teague are teaming up with The End of All Music to release a Record Store Day title that is limited to 300 copies. All proceeds from the album’s sales will go to Memory Makers, a local nonprofit care program for those with dementia and other memory disorders. Memory Makers offers respite to caregivers who may need to take a break from caring for their affected loved ones and to adults who are entering the stages of Alzheimer’s and related disorders. “Kate and I both had relatives that suffered from memory disorders, so Memory Makers hit close to home for us,” Freeman said. Memory Makers will be using the funds for general operation. The program can serve 12 participants for four hours for the four days per week that it is open. The goal of the program is to keep the cost low for participants at $20 per day, and it relies heavily on private donations, fundraisers and grants. For the last 33 years, O’Quin has been running a support group for caregivers of those suffering from memory loss. She got the idea to begin Memory Makers after she saw the strain that caregivers in the group encountered. Her co-founders Dianne and Bill Arnold aided the start-up, and Dianne Arnold directed the program until her recent retirement. When Freeman and Teague picked Memory Makers as their beneficiary, David Swider, the owner of Oxford’s record store The End of All Music, was immediately on board. “We thought it was really important to create something not only for Record Store Day but also to take a snapshot of the current Oxford music scene,” Swider said. Swider approached Freeman and Teague about collaborating, according to Freeman. The End of All Music used Kindercore Pressing Plant in Athens, Georgia, to produce the record and raced to get it finished in time for Record Store Day. “The whole process was just like hanging out with good friends,” Swider said. Each copy will be printed on colored vinyl and can only be purchased from The End of All Music. Any leftover records will be available for purchase on their online store beginning Monday, April 15. Record Store Day is this Saturday, and The End of All Music will be open from 10 a.m. to 9 p.m. There will be an after-party at Proud Larry’s from 8 p.m. to midnight, and Anne Freeman & The Garbage Sons, Okey Dokey and Starman Jr. will be performing. “We can’t wait to cut (Memory Makers) a check,” Swider said.